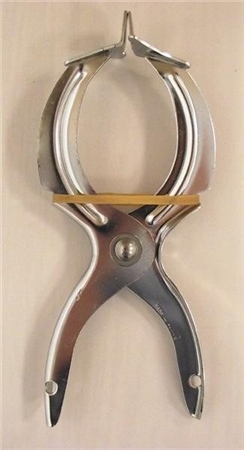 Stainless steel lobster banding tool for applying rubber bands to lobster claws in a quick and easy fashion. Rubber bands sold separately. Sold individually.